Our community has identified that an effective, integrated transport system is vital to the economic and social progress of the City of Wanneroo, and as such, the City will be actively participating in the Fund Our Future campaign. 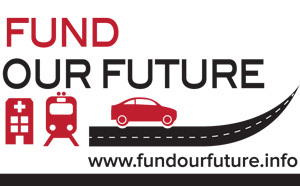 Fund Our Future is calling for the establishment of a national allocation of funding for key infrastructure projects, such as healthcare facilities, main roads and railways in these high-growth outer metropolitan areas like ours. Together we have a loud voice that cannot be ignored.